SD Maid will help you keep your device neat, clean and tidy ! If you have questions or concerns send me a mail ([email protected]). I usually respond quite quickly and will happily help you out. 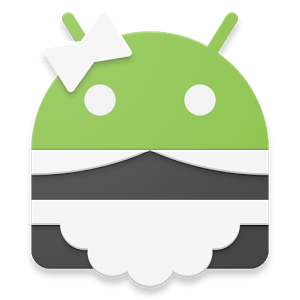 A big thanks goes out to all the beta testers @ http://sdmaid.darken.eu/beta who helped me improve SD Maid v3. I would also like to thank all the volunteers @ http://sdmaid.darken.eu/translation that made SD Maid accessible to non english speaking users by translating it. Fixed: Crash when creating an Activity shortcut and the app has no name. Changed: The thumbnails filter is no longer enabled by default [#1382]. Improved: if freeStorageAndNotify is unavailable, hide it. Improved: Duplicates scan now skips files when I/O errors occur during checksum calculation instead of aborting [#1389]. Fixed: Crash when opening the Scheduler settings [#1383]. Fixed: Crash when restoring the Scheduler page after low memory events [#1387]. • Several Android 8.0+ related fixes.